The Indian cricket team will continue its experiments to figure out the final pieces of a jigsaw puzzle called the 'World Cup squad' when a five-match ODI series against Australia starts here Saturday. The team is slowly moving into the World Cup mode and even a 0-2 loss in the just-concluded T20 series won't see any shift in plans as far as skipper Virat Kohli and coach Ravi Shastri are concerned. 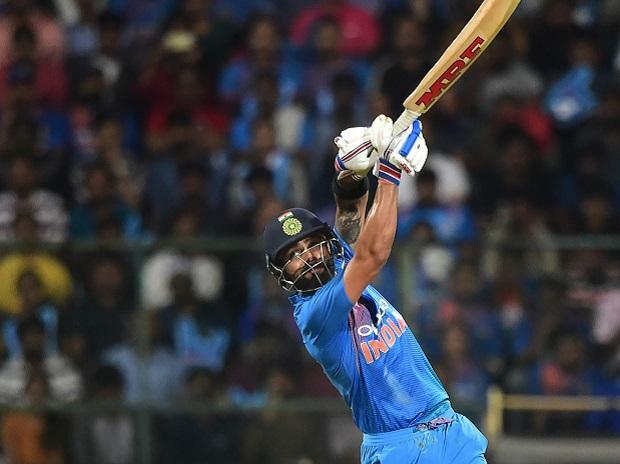 "Every team will look to fine-tune whatever they need to before the World Cup, and we'll keep doing that in the ODI series too, but we still want to win every match we play," skipper Kohli said after the Bengaluru T20 loss headlining his intention. There will be at least four players for whom the series will be like a 'pre test', a good score ensuring that they get 'admit cards' for the board exams. The four players in question are KL Rahul, Rishabh Pant, Vijay Shankar and Siddarth Kaul, who are fighting for two available slots in that UK bound 15-member squad. The batsman is fighting for the reserve opener's slot and who knows if Shikhar Dhawan's indifferent form continues, the Mangalore man could well be a permanent fixture in the side. All eyes will also be on Pant, who hasn't exactly been consistent in the shorter formats but such is his talent and ability to win matches singlehandedly that the team management may give him a few more matches before taking a final call. For Vijay Shankar, his bowling doesn't exactly inspire confidence but Hardik Pandya's dodgy fitness will keep him in the race and he can still claim for a second all-rounder's slot if Pandya is the first choice. Kaul is a rank outsider and could be a blind side entry as the reserve pacer as the team mangement's trial test with Khaleel Ahmed hasn't yielded the desired results. Add to it, Jadhav's side-arm low off-breaks and the likes of Glenn Maxwell, D'Arcy Short, Marcus Stoinis and Shaun Marsh may find it difficult to negotiate the overs. Bumrah, set to be India's premier bowler in England, may be rested for a game or two depending on India's position in the series. Nathan Lyon's presence will lend teeth to the spin department and he will partner Adam Zampa. Andrew Tye, the late replacement for the injured Kane Richardson, will like to use all the variations learnt during his stints with various IPL franchises. Australia: Aaron Finch (captain), D'Arcy Short, Shaun Marsh, Marcus Stoinis, Usman Khawaja, Alex Carey, Peter Handscomb, Ashton Turner, Adam Zampa, Jason Behrendorff, Jhye Richardson, Pat Cummins, Andrew Tye, Nathan Coulter-Nile, Nathan Lyon. Match Starts at 1:30 pm (IST).